At our event, we had 5 Nissan LEAFs, a Chevy Volt, a Tesla Model X, 6 Tesla Model S's, a BYD E6, a Ford CMAX Hybrid, and a Ford Fusion Energi. The BYD E6 and several of our Nissan LEAFs and Teslas were available for attendees to ride in or drive. We also had Ohio EV Solutions and Ohio Power Solutions out to talk to attendees about charging electric vehicles and renewable solar energy. Ohio State University's Lego Club brought out kits for kids at the event to build lego cars, and the Buckeye Current electric motorcycle team and OSU EcoCar team were present to talk about their electric vehicle projects. We also had a Nissan representative present to help us release a Columbus electric vehicle group buy program. 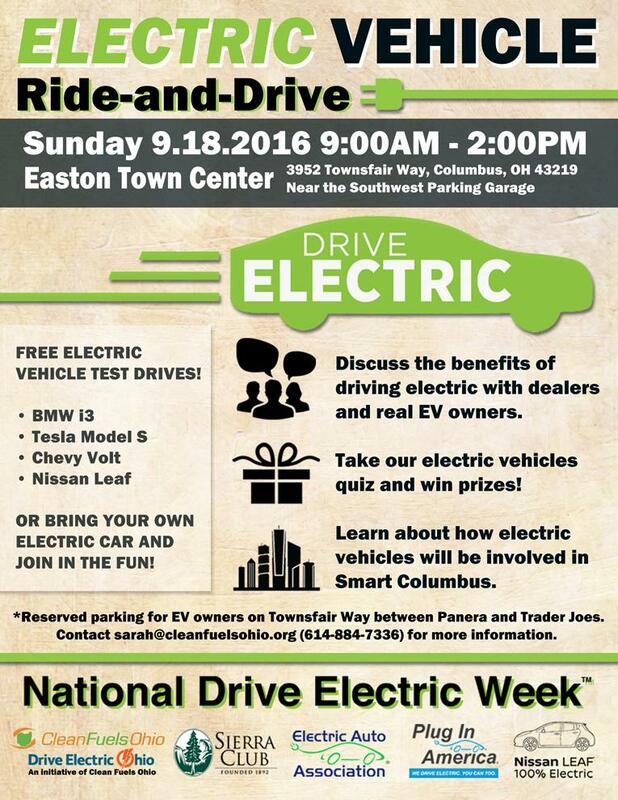 Join Clean Fuels Ohio as we celebrate National Drive Electric Week with an Electric Vehicle Ride-and-Drive at Easton Town Center. 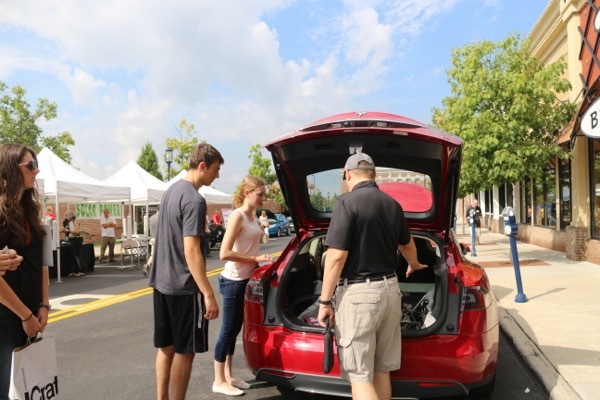 Test drive electric vehicles, take our EV trivia challenge, and enjoy a variety of local vendors. Discuss the benefits of going electric with dealers and real EV drivers! The event will take place from 9 AM - 2 PM Sunday, September 18, near Celebrate Local and Panera Bread. There are currently 69 attendees registered. Registered attendees report 277,378 electric miles driven.